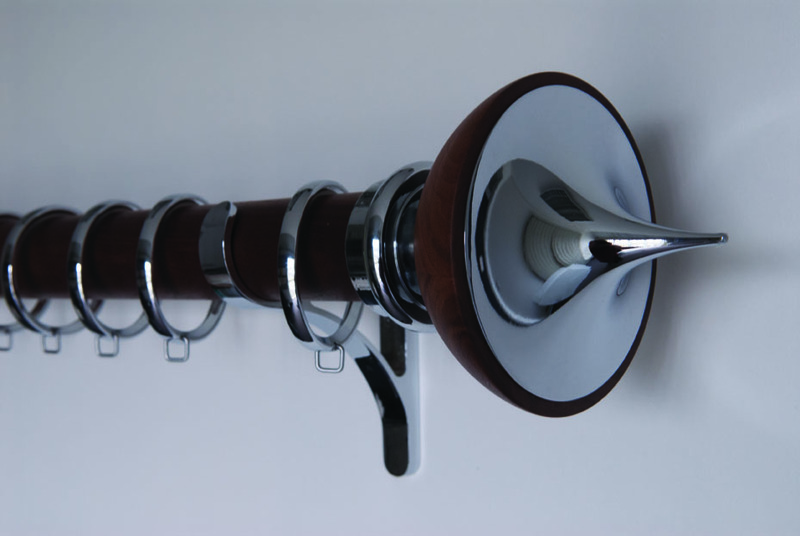 Every Successful window treatment relies upon the right choice of hardware. It must not only look good but also have superb functionality, be easy to use and maintain in good condition. Wooden poles should be of a quality that will not bow or discolour. Brackets are chosen for strength, ensuring they are always able to support the hardware and the window treatment without future failure. Metal poles can be timelessly classic polished steel, showing off the wonderful qualities of the metal, or even finished in a choice of colours from a palette of solid and metallic finishes. I choose poles and tracks very carefully, using the most discerning of suppliers in order to get the perfect solution in terms of the overall look, function and impeccable product quality that can be relied upon. Poles range from standard stocked products in ranges from classic to comtemporary. Or made up bespoke to a unique custom design of your choice! Successful and attractive hardware is all part of your individual experience, which will enhance your window treatment and interiors scheme.